Through the years, the Cirrus SR product line has been continuously refined and enhanced with improvements to performance, comfort, convenience, and most importantly, safety. 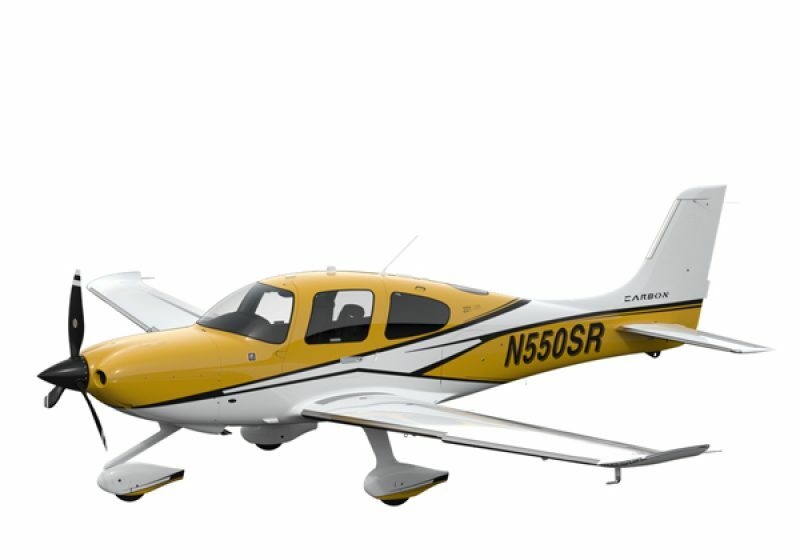 It’s a question that you want to have a confident answer to when you’re a pilot and Cirrus delivers the game-changing answer in the form of “CAPS”. 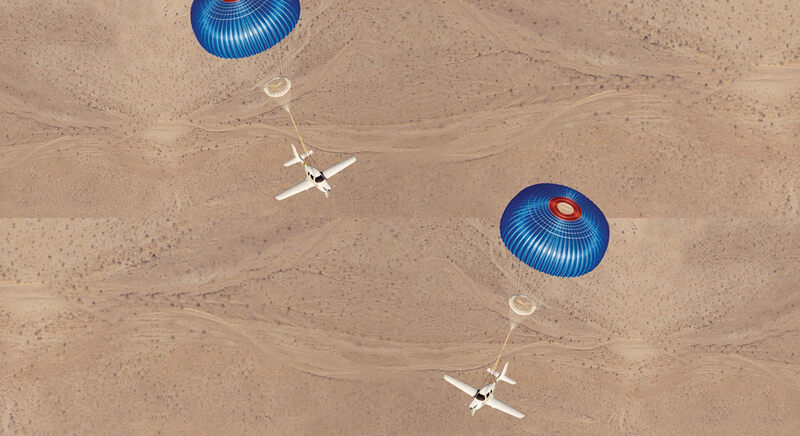 The Cirrus Airframe Parachute System® is a ground-breaking system that when deployed, lowers the entire plane to the ground safely. The concept was created back in 1985 by Alan & Dale Klapmeier, the founders of Cirrus, after Alan was involved in a mid-air collision that resulted in the tragic death of the pilot in the other plane. The death of the pilot seemed preventable to Alan and from that day forward he strived to create a safer plane. This unique system has already saved so many lives in many diverse situations. 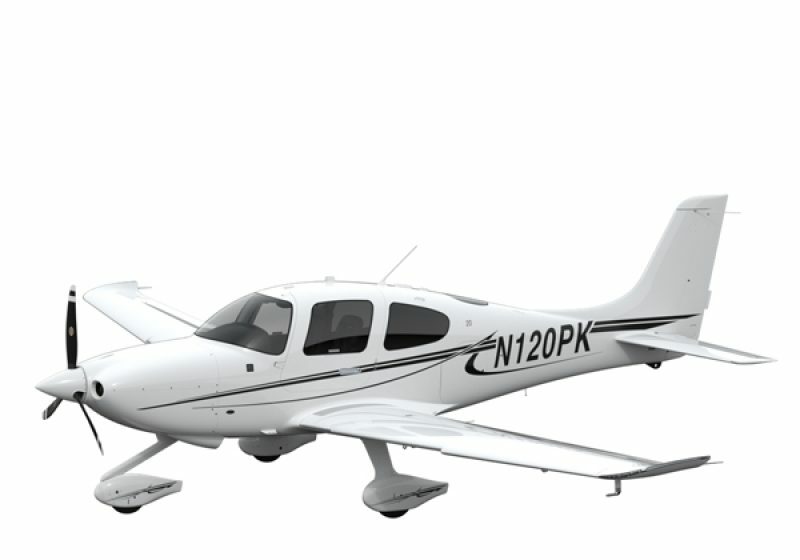 The base SR22 as featuring the Continental IO-550-N powerplant with 310hp. 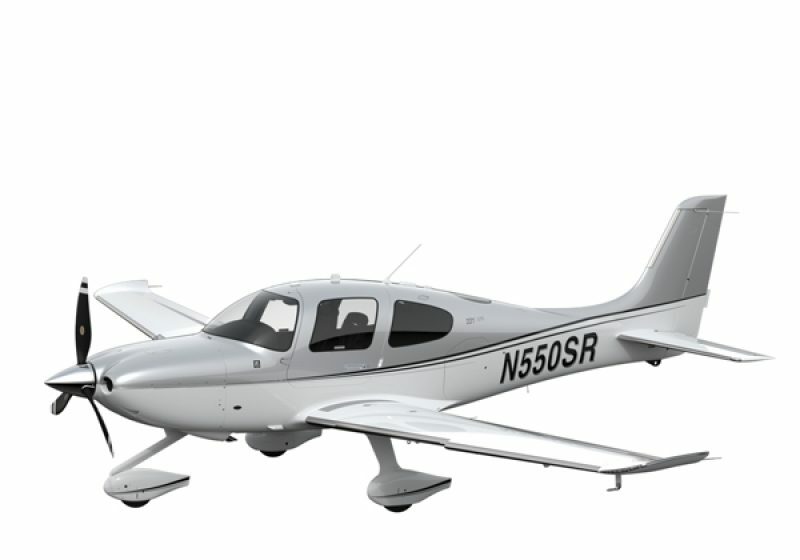 The SR22T is the turbo version of the SR22, giving it another 5 horsepower for a total of 315hp. 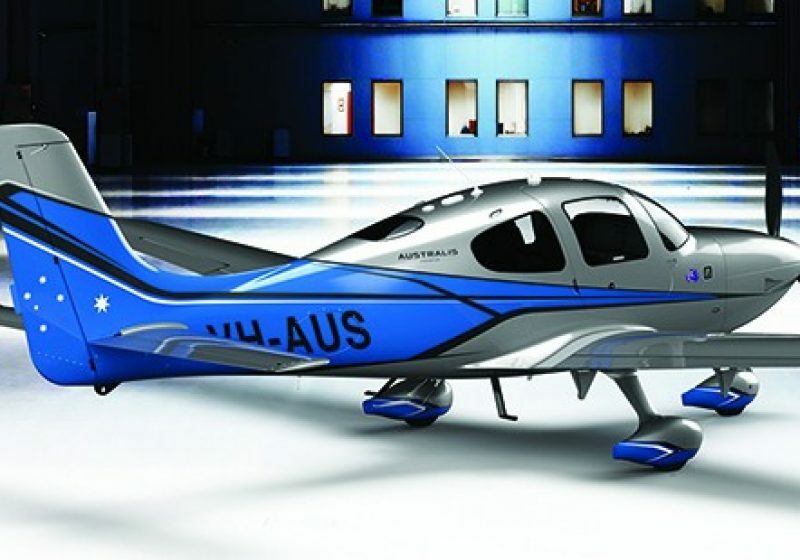 The SR22 Australis Premium has been specially designed and adapted to the Australian climate. The FIKI (Flight Into Known Ice conditions) Protection system has been removed and has been replaced with an airconditioning system for the hot climate, UV tinted windows and systems to allow for longer-haul flights. 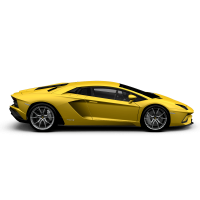 The GTS version is the SR22 with the added packages: Perspective Plus, Perspective Awareness Alerts & Assistance, Digital Advantage, Certified Into Known Ice, Premium Appearance and authentic GTS badging. Shown in Titanium apperance. From the leading edge through to the trailing edge of the wingtip you will find one continuous string of lighting in one form or another. Wingtips light up when plane is unlocked via the remote and the Cirrus Spectra™ wingtip lighting increases brightness two-fold. 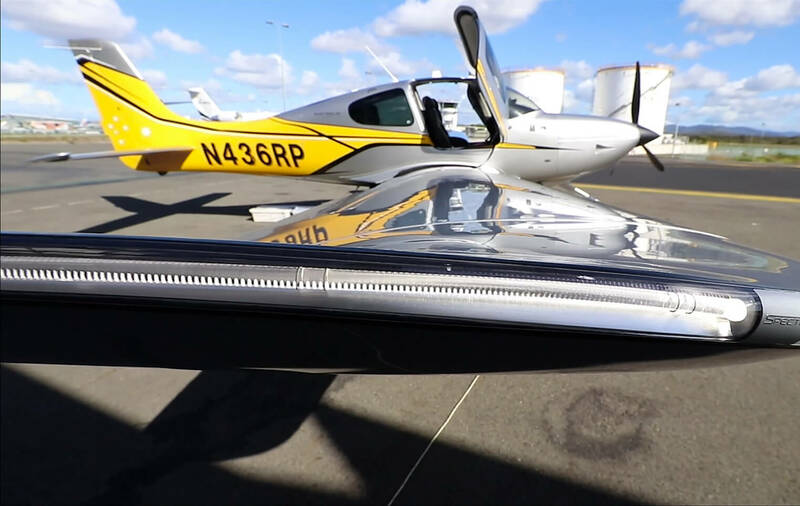 Automotive-style wingtip halo lighting automatically operates within 300’ of the surface, and pulsing “wig-wag” functionality above 300’ maximizes visibility to others giving the SR22 G6 a remarkable presence. 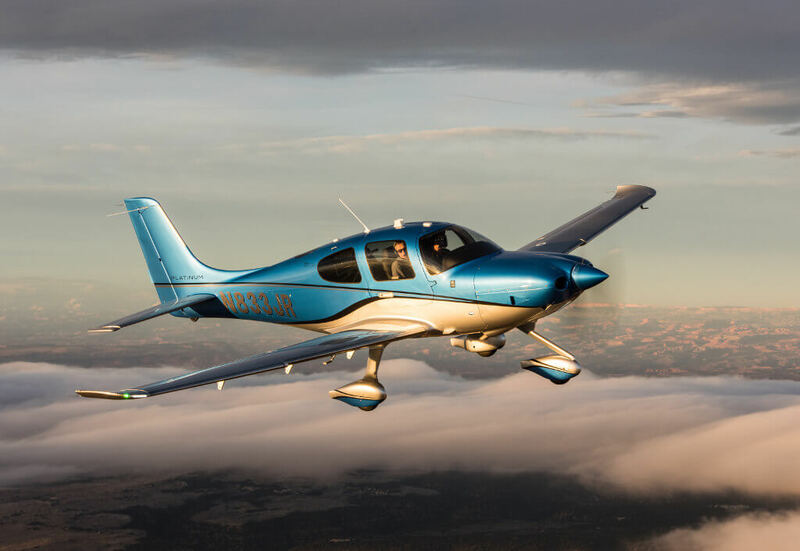 Electronic Stability & Protection (ESP) by Garmin is a passive system that works in the background to subtly correct unusual flight attitudes of your plane. Operates when autopilot has been disengaged, when hand flying the aircraft. Activates automatically whenever the airplane exceeds one or more flight parameters. Uses autopilot servos and sensors, yet operates even when the autopilot is turned off. 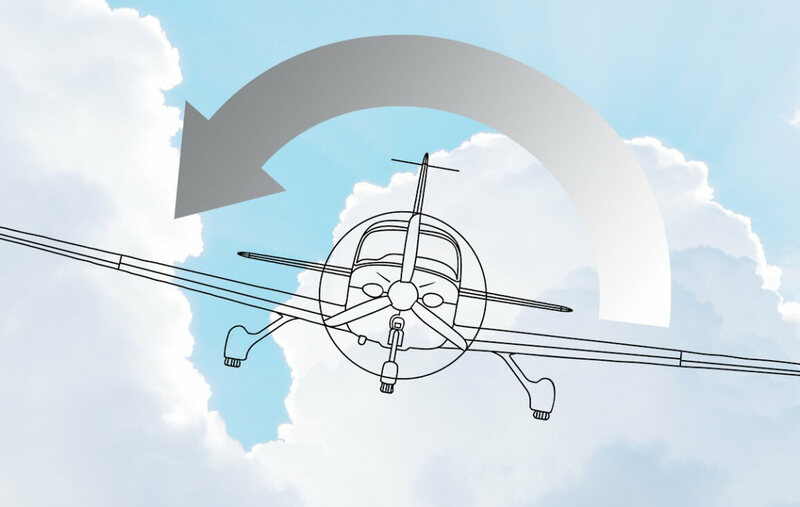 Recognizes and helps correct excessive pitch attitude, roll attitude, or airspeed. Augments pilot vigilance: Assists, but does not take control. Can be overridden by the pilot at any time. 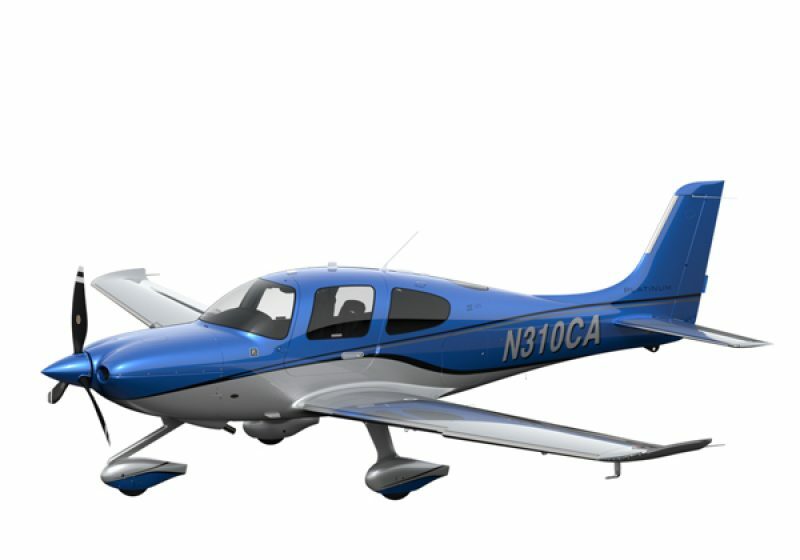 Both the SR22 and SR22T models are available with Cirrus Flight Into Known Ice (FIKI) Protection – a TKS based weeping-wing anti-ice system that allows pilots to legally fly into known icing conditions (FIKI).The system works by thoroughly coating anti-ice fluid over flight surfaces like the vertical stabilizer and elevator tips, allowing for 150 minutes at Normal flow rate, 75 minutes at High rate and 37.5 minutes of anti-icing at Max rate. The system also utilizes dual windshield sprayers to ensure landing visibility, a Tanis Engine Pre-Heater, illumination lights on either side of the aircraft for low-light conditions and includes a backup pump for fault-tolerant and redundant operation.Cirrus Perspective+™ by Garmin® integrates SiriusXM datalink to provide weather, icing forecasts and freezing levels as well as other data to constantly inform the pilot at all time. 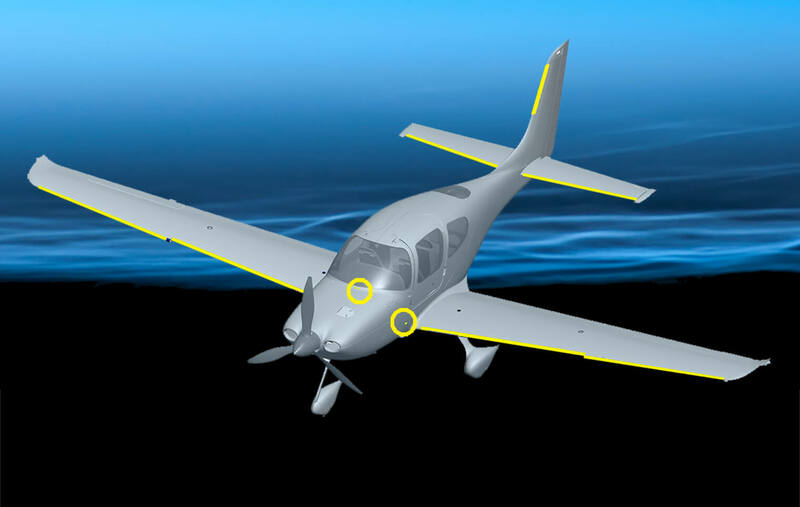 The Cirrus Perspective Enhanced Vision System (EVS) lets the pilot see up to 3 times further in low visibility conditions such as night flying, rain or mist. Pilots can approach challenging airports with an increased level of situational awareness and safety. 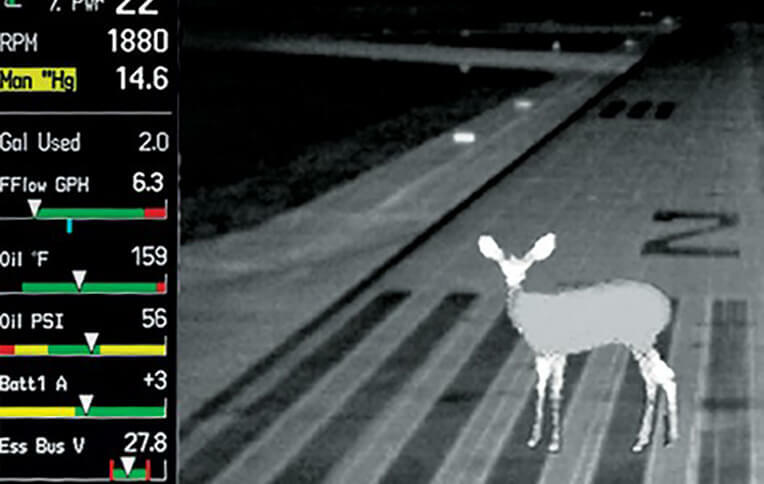 Using fusion technology that combines both visible and infrared light, EVS outlines terrain features, landmarks, cloud buildups – even ground objects such as parked aircraft, animals or personnel – on the PFD or MFD. A heated lens ensures a clear, unobstructed eye on the weather. 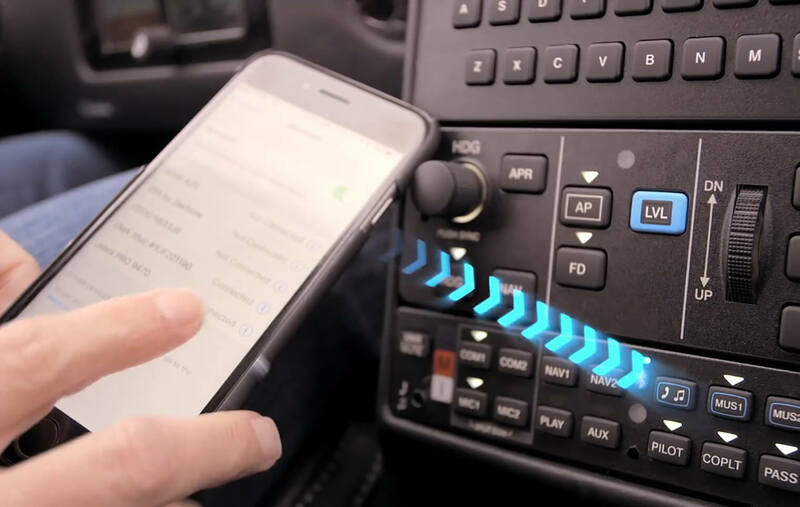 For ease of use, Cirrus have engineered Bluetooth® into the aircraft audio panel which when paired with Garmin Flight Stream allows connectivity throughout the SR22 cabin. Pilots can now do their flight planning from the comfort of home (or wherever you find yourself!) and transfer flight plans wirelessly from your smart phone to the avionics system using Garmin Pilot™ or ForeFlight. SiriusXM® technology also allows you to display ADS-B weather, traffic, GPS and AHRS info on your smartphone. Worldwide Weather: Nothing is more important to flying than having full knowledge of the weather. 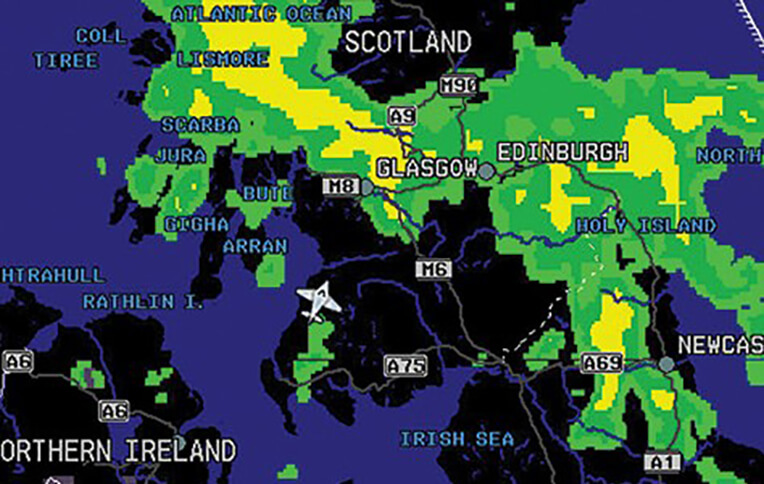 With Cirrus Global Connect, worldwide weather is available at the user’s request and owners can choose from a range of weather products such as METARS, TAFS, Winds Aloft, Temperatures Aloft, SIGMETs, Satellite, Lightning, Radar, PIREPs, NOTAMs and TFRs. Satellite Phone: Iridium Communications technology is integrated into the Cirrus Perspective+ Audio system to make calls in-flight through the cabin headsets, enabling pilot and passengers to make private or group calls. With this feature, call for a ride or rental car 30 minutes from your destination, make hotel reservations on a weather diversion or confirm a business meeting. 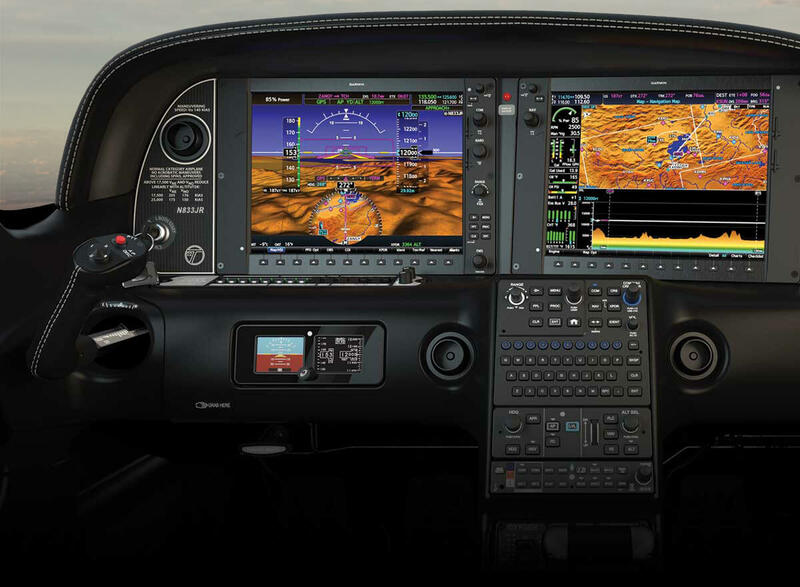 Text Messaging: Send and receive text messages through the Cirrus Perspective+ system. Text messages are input through the Qwerty keyboard and displayed on the MFD screen from wherever you are in the world. May be limited in some areas. *Cirrus Aircraft does not recommend the use of text messaging while piloting an aircraft. Designed to now seat 5 passengers, 60/40 FlexSeating™ features a wider back seat with three over the shoulder seat belts, ten more pounds of useful load and can be folded down for maximum versatility. Backseat passengers can select from three positions to maximize travelling comfort. The Cirrus LATCH (Lower Anchors and Tethers for Children) system works just like those found in automobiles for safe and convenient use of child seats. 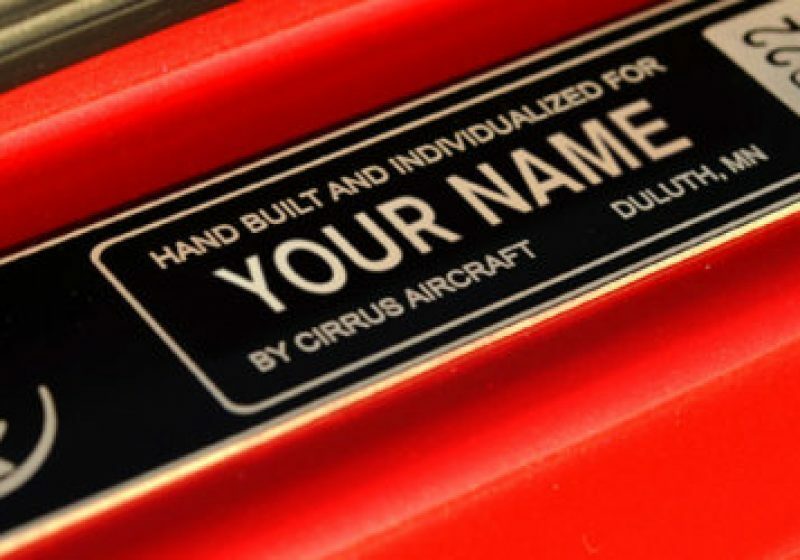 The Cirrus Xi Customisation program allows owners to take their ownership one step further and be involved in the design process. Working one on one with an Xi specialist, you can tailor your aircraft to your exact specifications and bring your dream to life. Your Xi specialist will work with your design team to create sketches and send samples to help in the decision making process. 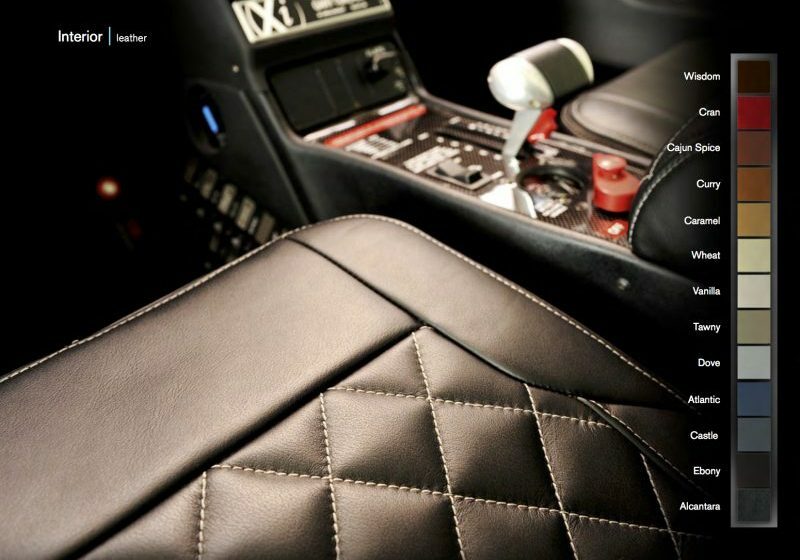 Everything from the exterior paint colour to the stitching on the seats can be customised to your liking. First, you will want to choose your base color. 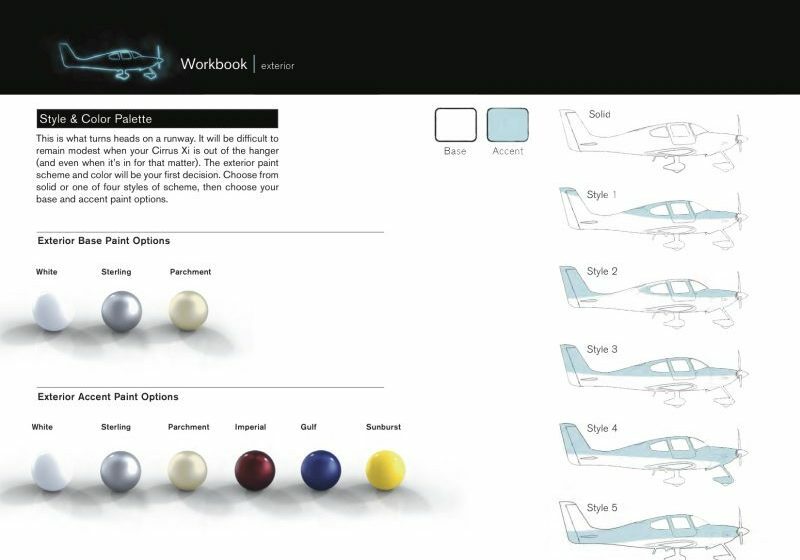 This sets the tone for your exterior look – the color option that will determine just how bold your plane will be at first sight – as the base will be the primary color applied to the entire aircraft. Next up are the details that will really set your Cirrus apart on the runway. Accent colors may be added to the fuselage, wingtips, and wheel pants to create that perfect image you’ve always dreamed of. Have your company logo, family crest or other insignia added for further personalization. 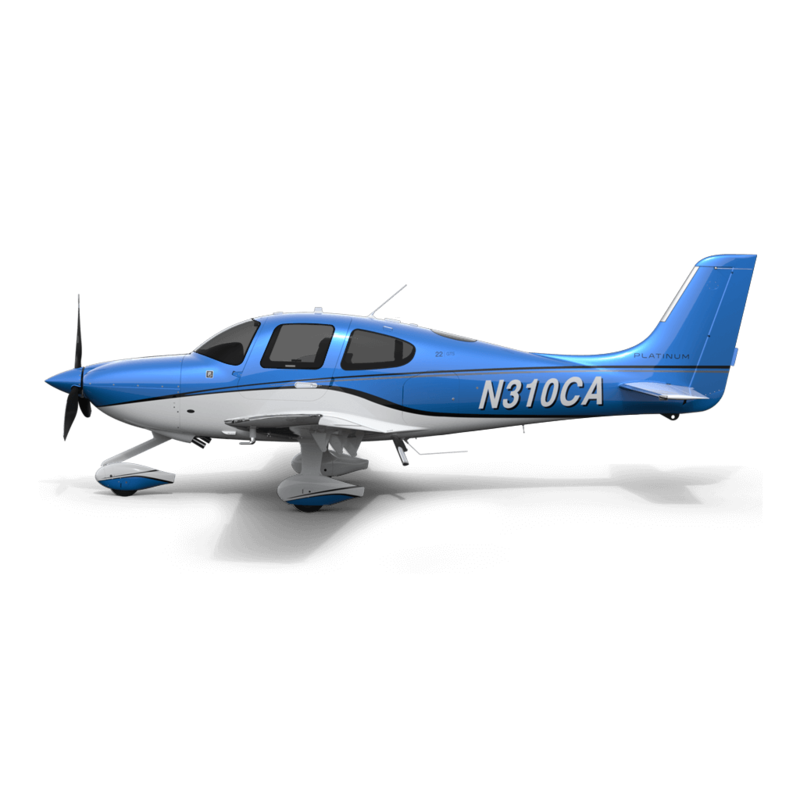 From exterior graphics that will leave no doubt whose plane this is, to interior stitching of logos, graphics and even your name to make every part of your Cirrus Xi individual to you and your needs. 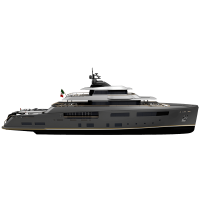 From exterior composition, color palette, seating materials, leather colors and grains, stitching, accents, air vent and light bezel finishes, exterior graphics, console and panel trim inserts - it’s all in the details. With the assistance of our team, you will choose the right combination of options to satisfy your tastes. composition tailored to your wishes. Stripes, flourishes – final touches that enhance your aircraft’s look and individuality. 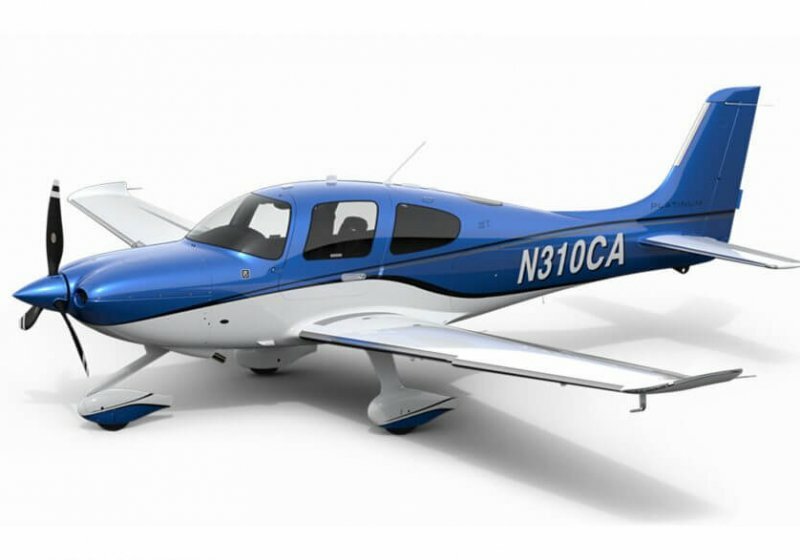 As a new Cirrus owner you will start with the Base Package, from here you can leave as is or have the option to upgrade with many other options available. To make the SR22 your own, owners can customise their aircraft with the Prestige, Comfort and Convenience Package and add leather bolstered seats, UV windows, two-tone silver over white paint, polished spinner, handles and steps, remote keyless entry and ambient lighting. Inspired by the unmistakable style of the most legendary sports cars, the Carbon Appearance premium upgrade utilizes a new palette of accent colors that deliver a stunning tarmac presence. 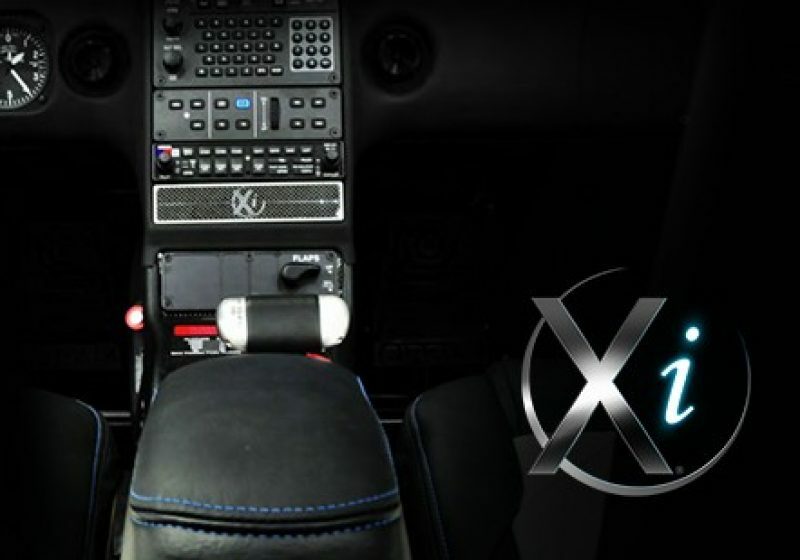 Interior details such as jet black vents, carbon fiber instrument panel lobes and two-tone premium leather bolstered seats complete this exhilarating look. A true sense of traditional, elegant and luxurious style is captured in the Platinum Appearance premium upgrade. A distinguished collection of earthy exterior colors and nickel vents, a painted spinner, and solid color premium leather bolstered seats provide the perfect finishing touches that complement this rich appearance upgrade.  Timeless and sophisticated, the Rhodium Appearance premium upgrade defines modern luxury with iconic simplicity. Make your statement with a striking yet subtle exterior in one of three stunning new metallic hues. 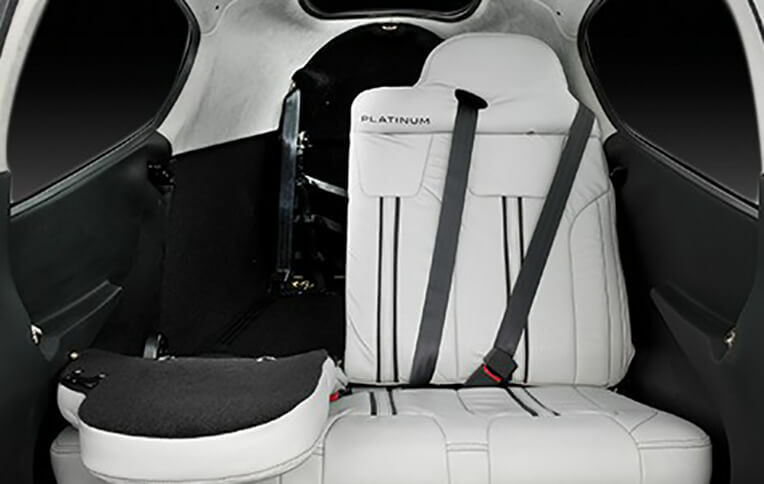 Nickel vents, a painted spinner, and solid color premium leather bolstered seats provide the perfect finishing touches that complement this rich new addition to Cirrus style.